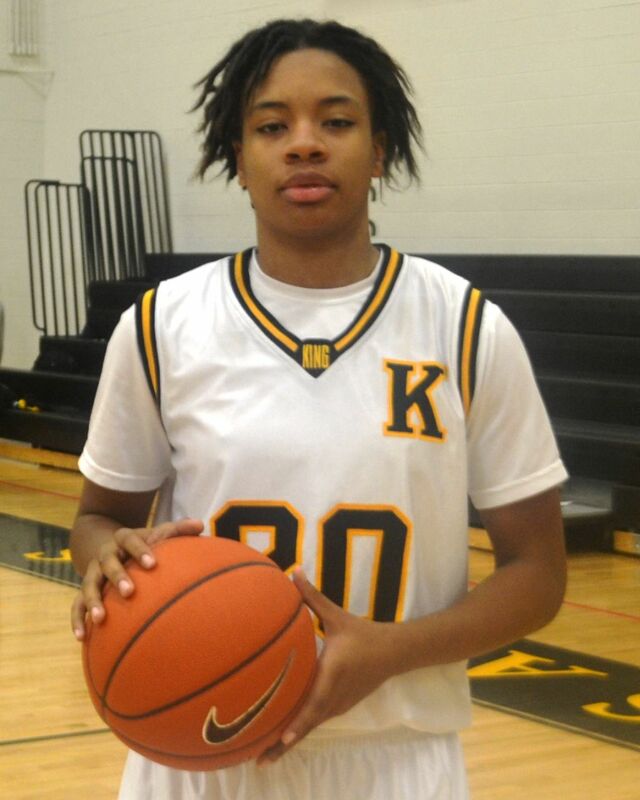 King High’s Antania Hayes averages 15 points, 10 rebounds and eight assists per game for the Lady Crusaders as the glue that holds everything together. “We’ve had four or five girls out with injuries, three of them starters, but with Antania on the floor, we’ve been able to keep rolling,’’ Coach William Winfield said of Hayes, the Detroit Public School League Proud Strong Learner of the Week. Hayes, a 6-1 senior point guard, takes pride in being the No. 1 player for the state’s No. 1-ranked team. Last year, the Lady Crusaders won the PSL championship but had their bid for the state championship end in the quarterfinals. Hayes said “hard work and staying humble’’ are the keys to her success and the team’s ultimate goal of backing up their No. 1 ranking. Hayes’ playmaking ability is a constant threat but, even more than scoring, her biggest strength is rebounding. Hayes, who has a 3.0 grade point average, was one of the nation’s most highly-regarded college recruits before accepting a scholarship to play at DePaul University in Chicago. This entry was posted in Girls, News and Press Releases, Sports and tagged 529.